Wanger Institute for Sustainable Energy Research (WISER), with Armour College of Engineering and the Chicago Council on Science and Technology (C2ST), will present 2019 Distinguished Lecturer Douglas J. Arent. Wanger Institute for Sustainable Energy Research (WISER) along with Armour College of Engineering and the Chicago Council on Science and Technology (C2ST) will present 2017 Distinguished Lecturer Sally M. Benson on Wednesday, March 22. Join the Chicago Council on Science and Technology (C2ST) for "Climate Change and Energy Needs: Finding a Path to Sustainability" on Thursday, November 17 from 5:30–7 p.m. at the Chicago-Kent College of Law Auditorium (565 W. Adams). The Chicago Council on Science and Technology (C2ST) is hosting their final program of 2015 on Tuesday, December 15 at 7 p.m. at Geek Bar Chicago located at 1941 W North Avenue in Chicago. IIT's Department of Chemical and Biological Engineering (ChBE), Wanger Institute for Sustainable Energy Research (WISER), and Chicago Council on Science and Technology will co-host a lecture from 3:15-4:30 p.m. on Wednesday, February 11, 2015, in Perlstein Hall Auditorium, Room 131. The Chicago Council on Science and Technology presents its "Is This Safe To Eat" seminar at 6 pm on Wednesday, March 12, 2014 at the Northwestern University Downtown Campus Hughes Auditorium located at 303 East Superior. 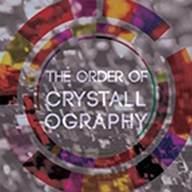 Chicago Council On Science and Technology presents “The Order of Crystallography” from 6-7:30 pm on Wednesday, January 22, 2014 at the Northwestern Hughes Auditorium located at 303 E. Superior. Chicago Council on Science and Technology, a partner institution of IIT, is sponsoring "Body and Machine - Epidermal Electronics" featuring professor and materials scientist John Rogers at 6 pm on Tuesday, November 12, 2013 at the Northwestern University Chicago Campus in the Baldwin Auditorium located at 303 E. Superior Street. Join Chicago Council on Science and Technology for a discussion on what the future of energy could be from 6-8 pm on Thursday, October 24 at Northwestern University's Baldwin Auditorium on the Chicago campus located at 303 E. Superior Street.